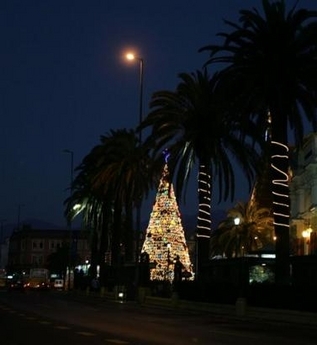 "Where's the holiday spirit? 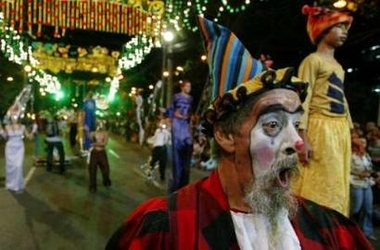 I bet that's what a lot of U.S.-born Hispanics are wondering as 2005 comes to an end." "These are scary times for the nation's largest minority. Everywhere you look, it seems that some Americans are trying to erect more walls, deploy more guards, and whenever possible, roll back the influence of Hispanic culture." "Maybe it's all about the numbers. There's something about accounting for 40 million people that makes some folks uncomfortable – as if it's only a matter of time before they are edged out for admission to colleges and some of the better jobs. 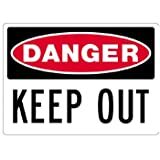 Or maybe what they are afraid of is that their neighborhoods and towns will be overrun and their language, culture and customs will be eroded." "And when people get uncomfortable, they act irrationally." "The Nashville City Council considered a proposal by three of its members to ban taco trucks and other mobile food vendors. Supporters of the ban insisted that it was prompted by legitimate health concerns and not by – as critics suggested – a cultural backlash against Hispanics who, according to The Associated Press, operate the majority of the mobile vending trucks in the city. But the council members had a tough time explaining why the ban did not apply to smaller street vendors, such as hot dog carts." One Hispanic advocate who worked with the bill's proponents called it even-handed legislation and not a racial issue. Others called the ban overkill when existing regulations would suffice, and when mostly non-Hispanic vendors of hot dogs were excluded. Navarette was recognized in 2005 by Hispanic Business Magazine as one of the nation's 100 most influential Hispanics. The Tennessean reports in this article that a three-hour business workshop will be held to encourage minority participation in the proposed Sounds stadium downtown. "The three-hour workshop targeting minority businesses to be a part of the construction and operation of the new proposed Sounds stadium downtown is from 9 a.m.-noon Jan. 13. The meeting will be at Greer Stadium on the club level. Call 862-5471 for more information." "Metro's Division of Minority and Small Business Assistance is helping to coordinate next month's workshop." AccessNorthGa.com reports in this article that a group of people based in Atlanta have been arrested for shuttling underground expatriates to Tennessee and selling them forged proof of Tennessee residency papers for the purpose of obtaining legitimate Tennessee certificates of driving (as opposed to drivers licenses, which require more than just proof of residency). According to this checklist for applicants on the Tennessee Department of Safety web site, Tennessee residency may be proven by such mundane documents as a utility bill, bank statement, or a property lease agreement. "Claudio Galvan, the accused leader operating out of the Atlanta area, and driver Armando Rodriguez-Riveros were arrested Friday with five Hispanics believed to be clients as they tried to get driver's certificates at a Maryville testing center." "The seven, who had come from Marietta, Ga., the day of their arrest, were arraigned Monday in U.S. District Court on charges of conspiracy to illegally obtain identification documents. If convicted, they could face 15 years in prison and a $250,000 fine." "[T]he ringleaders are accused of ferrying van-loads of illegal immigrants to Tennessee every few weeks to obtain the certificates, supplying them with phony Knoxville residency documents and charging them $800 to $1,500 apiece." "The activity has centered around Knoxville, centrally located along the north-south Interstate 75 corridor, but an FBI complaint said Galvan claimed he was 'expanding his business into the Nashville and Chattanooga areas as well.'" HeraldSun.com reports in this article that Belmont University graduate Roxana Vera Hadden stars in a North Carolina based, Spanish-language soap opera called Nuestro Barrio. The News & Observer reports in this article that Nuestro Barrio is being picked up in Greensboro, Charlotte, Greenville, S.C., Atlanta and Las Vegas and is being shopped to networks that would blanket the show across the Southwest and Northeast. "Hadden is Hispanic communications coordinator for 'Nuestro Barrio,' a Spanish-language novela, or soap opera, that is being filmed in Durham for release on the local UPN channel and throughout the Southeast in January. She also has a role as one of the leading characters in the 13-episode miniseries, which, like any worthy effort of the genre, deals with topics that get as steamy as a salsa dance." Hadden chose to participate in the show because of its educational goals. "'We call it edutainment. We have story lines with real-life issues' that cross cultural barriers, but are mainly geared to helping Hispanic newcomers to the United States navigate barriers and resolve pitfalls confronting them, Hadden said." "The themes of the episodes run the gamut of predatory lending practices, health issues, language barriers and rental discrimination. They play out on make-do sets at 604 N. Duke St., where one room may be an auditioning stage by day and a hospital waiting room for filming at night, or in the director's office, which serves as a bank in some scenes." The Nashville Area Hispanic Chamber of Commerce* announced its Holiday Mixer to be held this Wednesday at the Red Iguana. Non-perishable food donations will be accepted at the door. The Nashville Area Hispanic Chamber of Commerce Board of Directors, cordially invites you to toast the holiday season! "Such classes are among ways that Midstate banks are warming up to the Hispanic community as its growth in population and incomes makes it more attractive. Among the bank's goals are to reduce language barriers and wipe away distrust among immigrants from countries such as Mexico where banks aren't as stable as in the United States." "Like many banks, SunTrust now accepts cards issued by Mexican consulates as one form of identification for opening new accounts." "Two months ago, Bank of America stopped charging its accountholders to send money to Mexico, a key service since Mexicans send $21 billion home each year from throughout the United States." "Last month, Wachovia Bank began offering its clients the option of receiving their monthly statements in Spanish." "Some lenders, such as Southeast Financial Federal Credit Union, also use payment records for rent and utilities as a way to check credit worthiness before making mortgage loans to Hispanics who don't have much of a credit history." "First Tennessee Bank, for instance, has bilingual employees in areas with a concentration of Hispanic residents. It also partners with nonprofit groups to teach home-buying courses." "'We look at it as a rapidly growing market, but as one that's still a very small percentage of the overall market in Tennessee,' said Mike Edwards, Nashville region president for the Memphis bank. 'It's a market we continue to evaluate what out future plans and actions should be — it's one that has our attention.'" Two Knoxville papers recently explored the Knoxville Hispanic community in searching, in-depth articles. Sunday: How many Hispanics live here? Do they feel welcome in East Tennessee? This Metro Pulse article focuses on illegal immigrants and the public sentiment against them. This article in the Wall Street Journal suggests that the White House will turn to immigration as an issue that can shore up its waning support among senior citizens. As reported previously here in the Hispanic Nashville Notebook, some have eyed the issue as a weapon against Tennessee's Governor Phil Bredesen in his re-election bid in 2006. The national sentiment against immigrants and immigration is evident in this listing of various polls on the subject. "The bill's congressional supporters say it was designed with the 2006 elections in mind. Will Adams, spokesman for Colorado Republican Tom Tancredo, the leader of an immigration-restriction faction in the House, says Republican leaders asked their members for get-tough ideas to include in the bill. 'They wanted red-meat votes -- votes that appeal to the conservative base,' Mr. Adams says." The article says that this particular bill reflects a harsh sentiment in the House that is not shared by the Senate, and that neither the Senate nor President Bush would be expected to push the bill toward law. Nonetheless, it is souring the debate and making compromise less likely, shaping up 2006 to be a year of rhetoric and little progress. As reported previously in the Hispanic Nashville Notebook, there are both Democrats and Republicans who are concerned that the current tone of immigration rhetoric is more harmful than helpful. MSNBC.com reports in this article that Hispanic pedestrians in the South are at greater risk of accidents due to poverty, cultural issues, and Southern states' relative inattention to sidewalk design and safety. Tennessee, however, is one of three Southern states in which African Americans have higher pedetrian fatality rates than Hispanics. "...Hispanics are disproportionately victims across the South. They die in pedestrian-vehicle accidents at a higher rate than any other racial or ethnic group in every Southern state except Arkansas, Florida and Tennessee, where only blacks die at a higher rate, according to 2002 data reported by states to the federal Centers for Disease Control and Prevention." "The highest pedestrian fatality rates for Hispanics were in Mississippi, with 4.72 pedestrian deaths per 100,000 Hispanics; Alabama, with 4.71 per 100,000; and South Carolina, with 4.62 per 100,000." 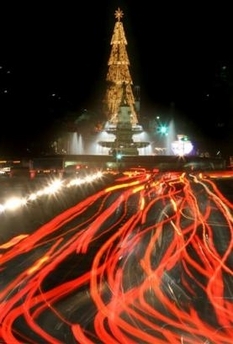 "Critics blame poor urban planning. As Southern cities and suburbs expanded rapidly in recent decades, planners have focused more on resolving traffic congestion and other growth issues than ensuring pedestrian safety, said Sally Flocks, president of Atlanta-based Pedestrians Educating Drivers on Safety." Sidewalks have been a hot topic in Nashville since the initial campaign of Nashville Mayor Bill Purcell, in which he promised to improve the city's sidewalks as a quality of life initiative. The Nashville sidewalk project is in full swing, as reported by the Nashville City Paper in this article about Hillsboro Village. Surrounding cities have found the same problems with sidewalk policy as Nashville, including piecemeal construction, as reported in this article in the Tennessean. "Nashville educators first began noticing Bantu children in their classrooms toward the end of last school year, but the real influx came in September, when Somali Bantu children replaced Latino children as the most visible minority at Cora Howe Elementary and other schools that teach federally funded programs for non-native speakers." Toast with us farewell to 2005 and welcome with excitement a brand new 2006! Featuring celebration Tango performances by Tango Nashville's Troupe, plenty of dance and social time, authentic Argentine snacks (homemade "empanadas") AND a great selection of Tango music. Festive attire if you feel like it! Ibiza Night Club, 15128 Old Hickory Blvd., Nashville, TN 37211 (almost corner with Nolensville Pike, in the Hickory Trace Village strip mall where the Sherwin Williams store is). 615-331-0382. The Carnegie Corporation of New York's Carnegie Report publication has published this article on Nashville's role in the national trend of immigration into the interior of the U.S. It is an in-depth article spanning five web pages. A shorter version can be found here on TheGlobalist.com. "Nashville is part of a new American frontier sometimes called the 'global interior' that runs from Minnesota to Texas where immigrants and refugees have moved in unprecedented numbers since 1990. Of the nation's one hundred largest metropolitan areas, Nashville ranks first in the number of new immigrants arriving from 1991 to 1998 relative to the number of foreign-born counted there in 1990. Atlanta, Georgia is second and Louisville, Kentucky is third." "'Nashville now has a stake in the immigration debate in a way that it hadn't before,' says Steven Camarota, research director at the Center for Immigration Studies. The city's reaction to the large and sudden growth amidst the absence of a comprehensive national immigration policy has positioned Nashville as a model of dynamic and counterintuitive change in the transforming American landscape of immigrant and refugee resettlement." "Frank Sharry, executive director of the Washington, D.C.-based National Immigration Forum, said immigrants are drawn to Nashville because of its reputation for 'jobs, nice people, low crime and good schools. Immigrants want the same things we do.'" "'Nashville is the only community I know in the United States where the Chamber of Commerce and the business community have stepped up and said 'Let's make this work,'' says Frank Sharry of the National Immigration Forum." DISABILITIES AND SERVICES FOR THE HISPANIC COMMUNITY LUNCH. 8:30 AM - 2:00 PM, Knowles Senior Center, 174 Rains Avenue, (located at the state fairgrounds). For more information contact Claudia Avila-Lopez at (615) 322-7830 or claudia.avila@vanderbilt.edu. Tennessee Disability Pathfinder is a statewide bilingual information and referral center at the Vanderbilt Kennedy Family Outreach Center. The Nashville Business Journal reports in this story that German Plastics Manufacturer Bavarian Polymers has purchased land in Dickson County, Tennessee to replace its manufacturing facility in Costa Rica, effectively importing jobs from Costa Rica to the Volunteer State. "...Bavarian officials say they plan to run at full capacity, with 114 employees, by the end of 2006. Those new jobs will help stem the steady losses posted by Middle Tennessee's manufacturing sector this year. After several strong years earlier this decade, local factories have shed 700 jobs in the past year." Bavarian Polymers "plans to use the site to make plastic extrusion window and door frames." "...They were manufacturing in Costa Rica and getting killed in transportation costs." "...the deal turned out to be a bit more complex than it appeared during the flirtation stage. Securing financing took some doing, given that none of Bavarian's partners are U.S. citizens." "[R]egardless of the language being sung, Hispanic nightlife is familiar territory: dancing, drinking and dining." "It's Saturday night at Latin dance club Ibiza, and the DJ calls for international shout-outs: 'Puerto Rico!' The crowd roars. 'Columbia! Honduras! Guatemala! Dominican Republic! Cuba!'" "Ibiza's live performers come from as many countries as their patrons do. 'Our most popular group so far was N'Klabe, a young salsa group from Puerto Rico,' Santiago says." "Live music is the cornerstone of entertainment at Coco Loco, another popular Latin nightclub on Nolensville Road. 'We've had bands from the Dominican Republic, Costa Rica, Columbia,' owner Santos Gonzales says. 'We also regularly have guest DJs from all over. We have a very multicultural clientele.'" "Despite the variety of venues available, some Spanish-speaking Nashville residents say they think there's something missing. Hispanic Marketing Group owner Marcela Gomez says her friends usually end up hanging out at home on a Friday night. 'I'm not into reggaeton or any of that,' Gomez says. 'We really are lacking a place for Hispanics who have been here a while but still enjoy Latin entertainment.'" Nashville also boasts versatile Hispanic musicians who play in more than just Hispanic clubs. This article in the Tennessean features a rich biographical portrait of Nashville Tejano musician Rafael Vasquez, who moved to Nashville 25 years ago and currently leads the band San Rafael. "Forget the cost of a border fence, which the Bush administration puts at $8 billion. Forget the fact that other walls in history - the Berlin Wall comes to mind - succeeded only at being monumental symbols of oppression." "A fence wouldn't work. It wouldn't prevent people from renting boats and sailing to U.S. ports. It wouldn't prevent them from entering the country from Canada. It wouldn't prevent people from tunneling under it, flying over it, or blowing up pieces of it and walking through the rubble." The Metro City Council deferred the second reading of a bill to ban mobile food trailers, as reported in this article of the Nashville City Paper and this report by WTVF NewsChannel 5, and family-operated vendors who comply with the current rules wait to see if a change is still on the way. "Jerry Rowland, director of Food Protection Services at Metro Health, said a compromise 'sounds good to us' and said Metro still prefers educating, rather than regulating, kitchen owners." Rowland said that mobile food vendors had not taken advantage of free classes, sometimes offered in Spanish, that would better educate the vendors of the relevant regulations. "[Bill sponsor Amanda] McClendon said she would likely support a compromise but said she wants trailers to work on a level playing field with restaurants situated in buildings, which she said must meet additional requirements such as Americans with Disabilities Act provisions." In this Tennessean article, McClendon and co-sponsor Buck Dozier said that local health, fire, and codes agencies were offering to improve the way they work with the vendors. An editorial in last week's Nashville Scene echoed popular sentiment that an all-out ban was overkill. 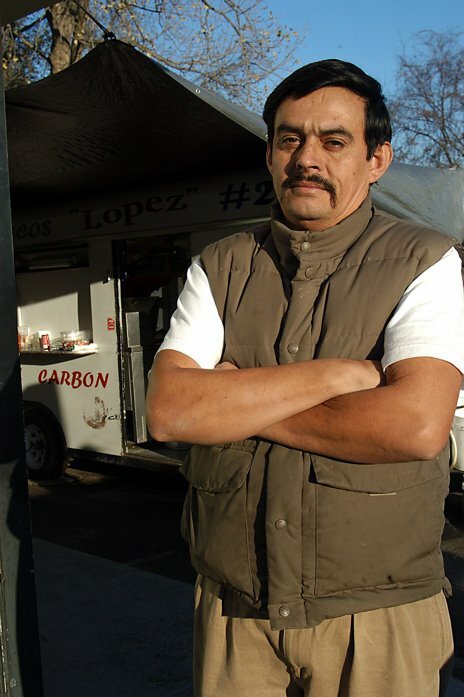 In an interview with the Hispanic Nashville Notebook, vendor Roberto Lopez of Tacos y Mariscos Lopez # 2 on Murfreesboro Road said that his customers, who are primarily but not exclusively Hispanic, universally tell him how good his food is, and that he's never had a customer get sick. He has had some bad health scores, but he says that normally his scores are in the low 90's. The Metro web site shows his last score at 95. Any deficiencies pointed out by inspectors are mostly little details, he says, but he corrects all of them. Mr. Lopez gave the example that, one day, he was washing the pavement with a hose and some detergent, and an inspector said he couldn't wash the pavement that way without a drain. Mr. Lopez stopped, which is how he treats every issue that is pointed out to him. He said that in the past, inspections had occurred about once every six months, but a few months ago, inspectors came by four to six times in one month. 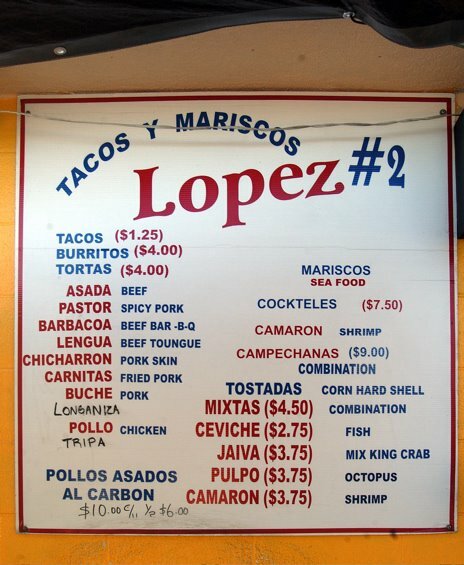 Tacos y Mariscos Lopez # 2 passed all the inspections. Since he complies with the regulations, Mr. Lopez said that he has no reason to complain about them. Roberto Lopez is the second of many brothers. The first Lopez brother came to Nashville seven years ago and is a legal resident. Roberto came three years ago. 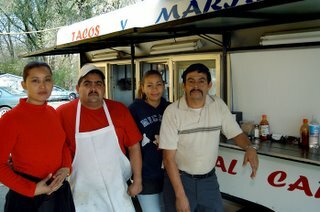 Four of the brothers - Rafael, Roberto, Ignacio, and Felipe - own five taco stands in Nashville. Their stands in Nashville are Tacos y Mariscos Lopez #1 on Nolensville Road; #2 on Murfreesboro Road, #3 Gallatin, #5 Franklin, and #6 Nolensville. They all do well, but #1 is the most successful. They also have cousins who run a couple of other stands in Nashville - Eduardo Cervantes runs El Tapatio Mobile Unite at 4801 Nolensville Rd, and his brother Reymundo Cervantes runs Tacqueria Alteno, near Bell Road. Roberto has other brothers, a wife and daughter, and he preferred not to discuss them in this interview, but it became clear that whatever the Council does to vendors, this family is going to feel it. 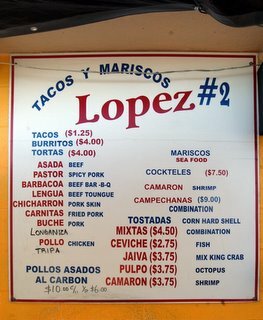 Tacos y Mariscos Lopez # 2 is open 365 days/year, from 9am to around midnight. Roberto and his brothers enjoy their work, having sold tacos in Mexico before coming to the U.S. Roberto is almost always around, and when it's real busy, he works on the chicken on the grill. He rents the adjacent building, an old dry cleaners, and the goal is to build his own building, bringing the kitchen inside and offering better service. He says he is all for competition, because competitors make you work even harder. Canals discovered in the Peruvian Andes dating back over 5,400 years offer long-sought proof that irrigation was at the heart of the development of one of the earth’s first civilizations. The discovery by Vanderbilt University anthropologist Tom Dillehay and his colleagues, Herbert Eling, Instituto Naciona de Anthropolotica e Historia in Coahulila, Mexico, and Jack Rossen, Ithaca College, was reported in the Nov. 22 issue of the Proceedings of the National Academy of Sciences. The anthropologists discovered the canals in Peru’s upper middle Zana Valley, approximately 60 kilometers east of the Pacific coast. Preliminary results indicate one of the canals is over 6,700 years old, while another has been confirmed to be over 5,400 years old. They are the oldest such canals yet discovered in South America. Anthropologists had presumed that the canals that helped support early Andean civilization had lain closer to the surface and were hence destroyed by human activity and nature over time. Dillehay and his team found that the canals had not been destroyed but had been buried by sediment. The team made its initial discovery of the canal system in 1989 and has been working since to uncover the broader picture of the canals and the civilization that they supported. “Our findings indicate that people were building these canals and creating artificial wetlands—essentially garden plots—in the Andes over 5,400 years ago,” Dillehay said. “This was an important moment for this civilization as it established a codependency between the crops and the people, which allowed and encouraged larger groups of people to begin to settle down in one place. The team uncovered four canals ranging in length from one to four kilometers. The canals are narrow, symmetric, shallow and U-shaped. They were lined with stones and small pebbles, and appear to be individually designed to take advantage of different periods of water availability. The canals were built along the edge of a terrace above a nearby stream and used gravity to deliver water downhill to the agricultural fields. A striking feature of the canals is that they are located on a very slight slope, indicating that their builders were able to engineer them to function hydraulically in a relatively sophisticated manner. All domestic sites found in the area lie within 2.5 kilometers of the canals and share tools, structures, dietary remains and other features, indicating they were part of the same society. "Brian Courtney, vice president of communications for the Nashville chamber, said the resource center was organized by the Tennessee Economic Development Department with assistance from Prudential." "He said organizations from the Nashville area are sending representatives to do two two-hour sessions a day on the quality of life of the Nashville region, including schools, shopping, entertainment, real estate and diversity." "Tennessee has the fourth fastest growing Hispanic population in the nation — a phenomenon that is a challenge to both the school systems and the Hispanic children trying to acclimate to them." "In Davidson County, the graduation rate of Hispanic students is 40 percent, the lowest of any ethnic group." "The number of Hispanic residents of school-age in Davidson County grew 380 percent between 1990 and 2000, while those poised to enter school in the next four years grew 521 percent, according to The New Latino South report from the Pew Hispanic Center." "Metro schools’ English language learner (ELL) program has had great success helping non-English speaking students master the language." "The Girl Scouts of Cumberland Valley in 1999 launched Hermanitas, a bilingual program at eight Metro schools for Hispanic girls to interact with others who can relate to what they are going through." "Through the YMCA, Josias Arteaga and Camilo Rodriguez operate Hispanic Achievers, a weekend program for children kindergarten-age and up with a focus on academic enrichment, pre-university training and career exploration." "Many Hispanic children, however, regardless of how well they excel in high school, cannot attend college or receive scholarships because they don’t have Social Security numbers." "The majority of immigrants since 1995 lack legal status, according to the Pew Hispanic Center, and Tennessee is estimated to be home to as many as 150,000 undocumented Hispanic immigrants." "What: Two Middle Tennessee systems recently received extra money to educate students from other countries who enroll in their schools. The funds, about $163,000, were awarded under the federal Emergency Immigrant Education Program." "Why: Districts that are experiencing a significant increase of immigrant students were eligible to apply for the federal funds. The priority was given to districts who have little or no experience serving immigrant children." Tuesday: Vanderbilt Center for the Americas hosts Conexion's "Celebration of Achievements"
Programs promoting home ownership, bilingual skills and business leadership training within the Middle Tennessee Hispanic community will be recognized Dec. 6 during Conexión Américas’ “Celebration of Achievements” at Vanderbilt University. The event, which is co-sponsored by the Center for the Americas at Vanderbilt and Cracker Barrel Old Country Store and Restaurant, will be from 5:30 to 7:30 p.m. in the university’s Alumni Hall. Conexión Américas, a Nashville nonprofit organization that promotes the integration of Hispanic families into the community, will recognize families who have bought houses through its Open Doors home ownership program, participated in its Spanish/English Language Exchange and taken part in the Prosperous Business leadership training program. The Language Exchange Program, which will be sponsored by Cracker Barrel in 2006, is an initiative that pairs two individuals—a Spanish speaker and an English speaker—so that they can help each other improve their foreign language skills. The program also fosters intercultural exchange between Tennesseans and Latino immigrants. “There is a myth going around that Hispanics coming to our city don’t want to learn English. This is absolutely not true,” said María Clara Mejía, director of socio-cultural integration for Conexión Américas. “In working with the Latino immigrant community every day, we witness that one of their top priorities is to learn the language. They understand that this is of great importance to their success in building a life in this country.” Conversely, a growing number of Tennesseans who realize the competitive advantage of bilingual skills and the importance of becoming familiar with Hispanic American cultures are interested in learning Spanish. Mejía said that this helps build bridges between the non-Hispanic local communities and their Latino neighbors. The Language Exchange Program is possible thanks to the collaboration of Vanderbilt students who are majoring in Spanish, attending classes about Latin America and working on service-learning projects; volunteers from the Center for Non Profit Management; and representatives from Bilingual Latinos, all of whom are committed to helping newcomers improve their language skills. Prosperous Business is a basic four-month business course geared toward Hispanics who want to start their own businesses. Areas covered include registering a new business, hiring employees and marketing a start-up company. "Complaints from border officers about their attire have prompted at least two U.S. congressmen to call for a new law requiring the uniforms to be made in the United States." "The shirts and pants are made by Nashville’s VF Solutions under a contract with the U.S. Customs and Border Protection, a branch of the Department of Homeland Security. VF is allowed to subcontract work in Mexico, Canada and the Dominican Republic." "Agency officials would not release details about their contract with VF Solutions, but said the multi-year contract was awarded in accordance with federal acquisition regulations that seek out the best value for the government. Security concerns have been addressed, according to a prepared statement released by the agency." "Last year, Arizona Rep. Rick Renzi introduced legislation requiring all Border Patrol uniforms to be manufactured in the United States, but the bill never passed." "[Memphis firm] Buchart-Horn will design a five-mile section of Interstate-69 between Millington and Cuba-Woodstock Road north of Memphis, the firm announced Wednesday." "Joining Buchart-Horn on this project will be Burns Cooley Dennis of Memphis, and K.S. Ware of Nashville, who will provide subsurface investigations. Memphis' THY will provide survey services." Previous reporting on I-69 appeared in the Hispanic Nashville Notebook in this August story. Five months after his death and memorial service, friends of fallen Tennessee Hispanic Chamber* leader Greg Rodriguez are getting together on his birthday at the Renaissance Hotel. The celebration will include awards for Hispanic students, and entertainment and food will be provided. 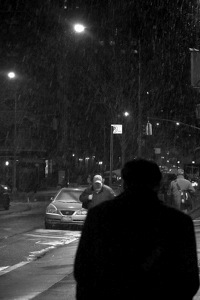 On Monday, December 5, 2005, from 5:30 to 8:30 pm, on the 3rd. floor of the Renaissance Hotel, 611 Commerce Street, Ms. Vicky Vargas and Friends will celebrate Greg Rodriguez, Jr.'s, birthday in memory of his passing earlier this year. This event is sponsored by the Renaissance Hotel. ALL are welcome to join in the celebration. This event is FREE AND OPEN TO THE PUBIC. The celebration will feature awards for outstanding Hispanic students, live music and food. RSVP is appreciated to vicky@greg-rodriguez.info, but walk-ups are welcome too. Louisiana-Pacific Corporation announced that it will be expanding operations in Chile to serve growing markets for oriented strand board (OSB) based building products outside of North America. Under the expansion plan, LP will move and upgrade the equipment in a previously closed OSB mill in Montrose, Colorado to Chile. The new mill will have an annual OSB production capacity of approximately 160 million square feet, and serve customers in Chile, as well as other countries in South America and growing international markets outside of North America. LP Chile currently operates an OSB panel and specialty products facility in Panguipulli, Chile with a sales and support office in Santiago. The Panguipulli mill began operations in 2000, and has an annual production capacity of 135 million square feet. "We have been very pleased with the success of our Chilean operations," said Harold Stanton, Executive Vice President, Specialty Products and Sales. "LP Chile has been a catalyst for migrating building practices from masonry to wood-frame construction. Frame construction using LP OSB structural panels provides homes at 70 percent of the cost of traditional masonry." Stanton concluded, "Our established production and marketing presence in Chile provides a solid platform for the expansion of LP's international business strategy."